2. It's easy way to clear up your desk, and get all these cables in line. 3. 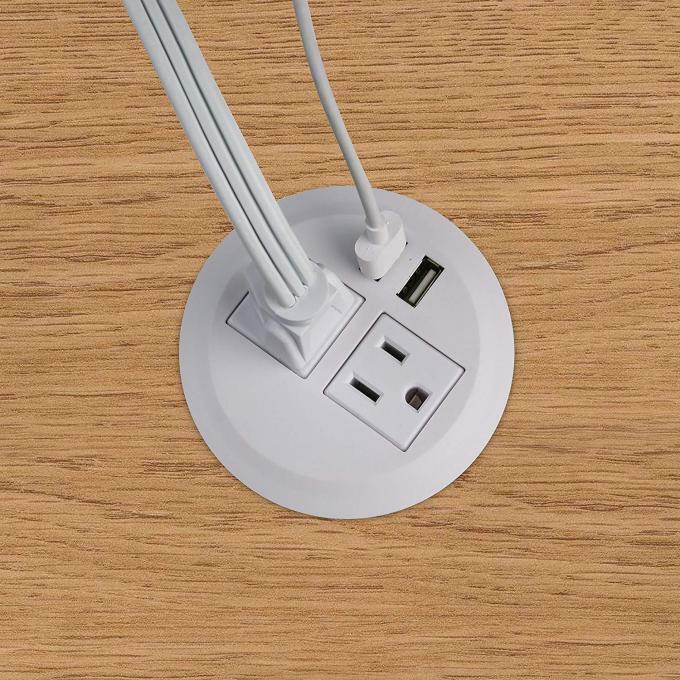 You need to make a 3 1/8 round hole on the table surface or you can use the existing cable hole on your desk. 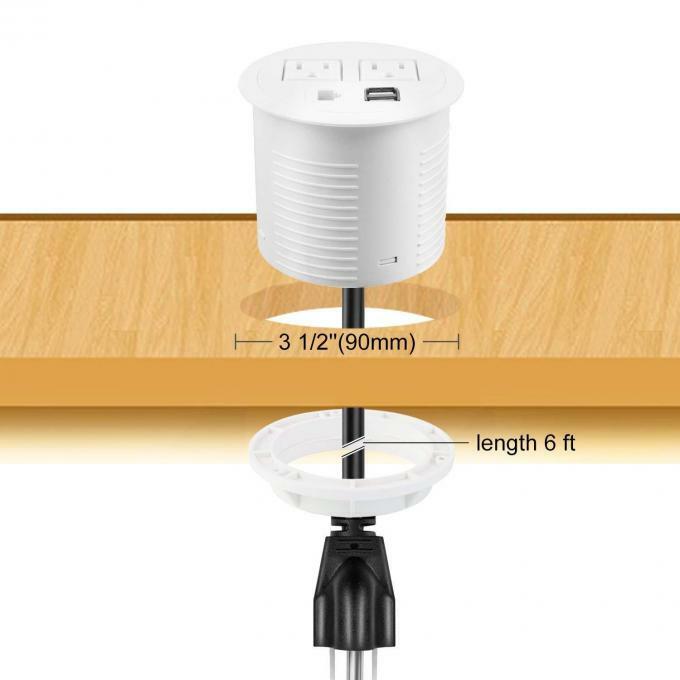 After that you just need to insert the power grommet through the hole and put back the ring underneath the table, so it can fixate you grommet. 4. 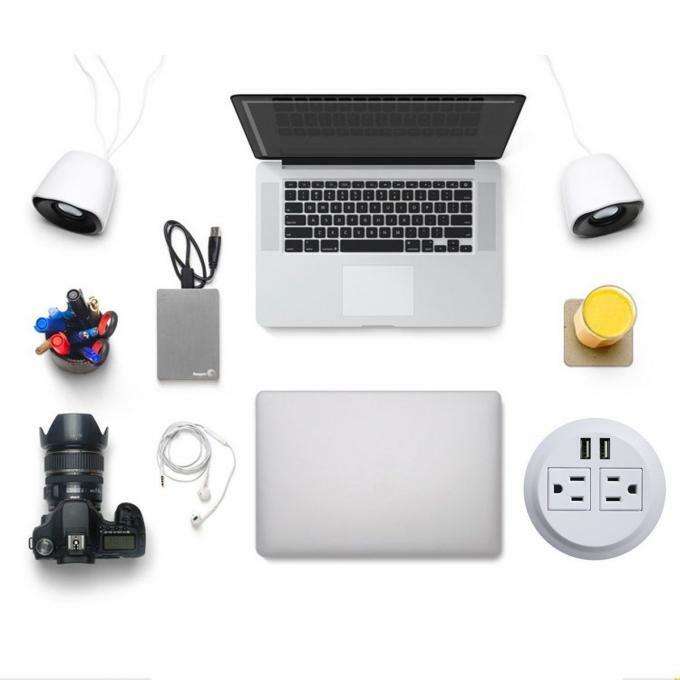 This type of outlet is perfect for your conference room, office & home desk and for public charging at hotels, showrooms & etc. 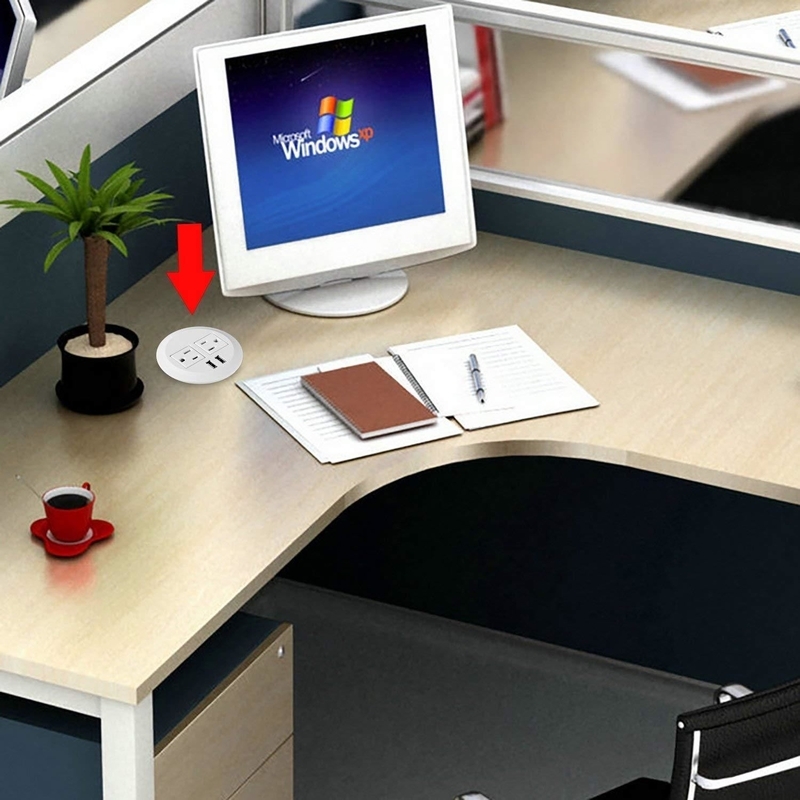 It's designed to replace you standard desk grommet, but you can also both installed on your desk. 5. This item usd for meeting table.workstation,sofa and any other furniture.